This March, I’ll be 35 years old. I remember when I used to think 35 was so old. It’s crazy how much things change as we get older. It does not seem that old now! As each year passes me by, I do think about aging and am always looking for signs. I’ve noticed my metabolism isn’t as fast and I don’t like to listen to the music as loud anymore in my car. I’m also watching out for wrinkles. I used to curse my oily skin, but it actually turned out to be a blessing in disguise because it’s helping to slow the aging process. However, I am noticing my skin becoming less oily so I am starting to use more anti-aging products. I’ve got good genes though. My mom is in her mid-50s and still looks great. I hope I take after her! She’s been using Oil of Olay products for as long as I can remember. She believes that it’s never too early to start caring for your skin. Nor is it too late if you haven’t yet got an anti-aging skin regimen down pat. Olay Total Effects products fight the seven signs of aging which are: fine lines and wrinkles, rough texture, the appearance of prominent pores and age spots, uneven skin tone, surface dullness and dryness. Check out the info below about how each product works! Olay Total Effects Daily Anti-Aging UV Moisturizer Plus Touch of Foundation Cream provides seven anti-aging benefits including line appearance minimization, nourishing moisturization, subtle appearance firming, brightening, gentle exfoliation, pore appearance refinement and anti-oxidants. It helps renew, restore and protect from UV rays for aging skin with the added benefit of a sheer foundation for immediate tone improvement. Olay Total Effects 7-in-1 Anti-Aging Eye Cream Line and Dark Circle Minimizing Brush helps to instantly reduce the appearance of darkness under the eye all in one sweep of a brush. It contains a daily under-eye moisturizer that hydrates to firm skin’s appearance and minimizes the look of fine lines and a hint of tint instantly reduces the appearance of dark circles. Olay Total Effects Refreshing Citrus Scrub offers an invigorating scrub that cleanses your skin without over-drying. Formulated with oil-absorbing beads, it gently exfoliates and cleanses thoroughly while the citrus kissed formula refreshed your skin. Olay Total Effects Tone Correcting Night Moisturizer provides deep hydration and helps fight signs of aging with a vitamin-rich complex designed to smooth away the appearance of discolouration and age spots as you sleep. Olay Total Effects Tone Correcting Eye Treatment treats the sensitive and delicate skin under the eye that needs to be treated with TLC. This treatment diminishes the look of under-eye darkness and helps to fight seven signs of aging. I am not overtly concerned about aging but | do take care to protect and nourish my skin daily! I’m totally concerned about aging as I can feel signs of it approaching – the weakened eyesight, the aching bones. Everyone around is getting older & the sign of degenerate disease is scary. Hopefully with exercise, a healthy lifestyle & Olay I can hold it back a few more years. I’m only mildly concerned because aging is a fact of life and we can’t get completely away from it. I’m not as concerned as I used to be. I want to be healthy and to look good but I don’t think about too much. Not really, the older I get the less it bothers me but I still want to look my best ! Concerned? Of course:) I am nearing my 42nd birthday, and my skin has changed a lot in the last few years. It is always great to find products that can make you feel beautiful! Yes I’m always worrying if I’m gonna get and more crows feet or wrinkles! Sure, I try to use the latest cream to minimize dark circles and fine lines. I never was but the last 2 years of fighting for a divorce has made me look my age instead of always being guessed at younger so now I am. I find myself looking at my skin and wondering how to make it better. Just recently have begun to notice wrinkles so think I better get serious about this! yes i am and i already have some aging going on!! Ohhhh…!! LOVE THE PHOTO!!! I love how they match too! I’m a grandma as well and I once saw a woman on the Phil Donahue show in her nineties with beautiful skin was asked what she used..she said oil of olay and I’ve been using it ever since..!! Thanks for this giveaway! A little worried just starting to age now. Yes, I keep watching for more wrinkles & ‘laugh lines’..I’ve used Olay products for years & years…I’m 66. I love Olay, the scent & the feeling on my skin. Thank you for this offer. I wanted to let you know I’m disqualifying myself I didn’t see it was in Canada..sorry!! 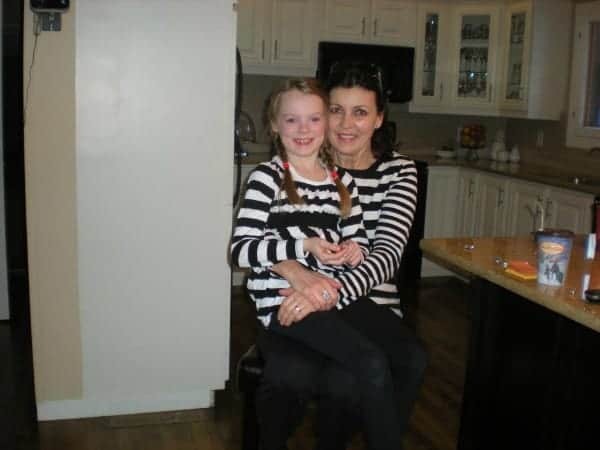 You bet I worry about aging – and your mom looks GREAT! Yes. I am, I don’t want to get old. I am now over 50 and an ex smoker (I quit just 3 months ago and I’m doing great). I am showing the signs of aging. I would love to turn back the clock some, well…maybe a lot. With these products I will have a fighting chance. Yes, I worry about aging. I had to have chemo a few years ago and it took a toll on my body. I love Olay products! Heck yeah I’m concerned! I want to take advantage of all the modern creams out there to help fight aging. I am somewhat concerned. I accept that we all must age however, I would like to age gracefully. I try to take care of my skin , and use sun screen for the face. is my big pores & my under eye dark circles .. ugh ..
all those years of experience and knowledge are signs of a good life. age gracefully because it beats the alternative of dying young. I don”t mind aging but I don’t like how society judges older women. I wasn’t until someone said to me ” Oh really? Man, I thought you were at least 3o.” Yeah , my jaw dropped, not that 30 is old but I still have 3 years. I am concerned about aging. I’m not attractive now and I don’t think it gets better as you get older. 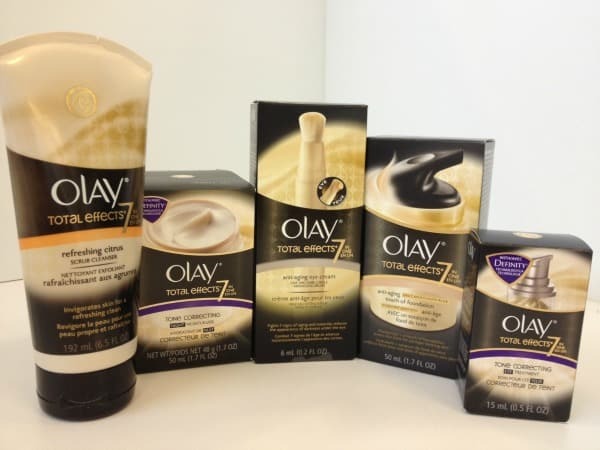 I love Olay products… and since I’ve discovered crows feet stomping across my eyes I could definetly use this lol …. Good Luck all & Happy New Year! I’m not but my wife is. I am concerned about aging but I am more concerned about my skin being healthy. My mother’s always had immaculate skin and always looked way younger than she really was. For a long time I followed the same route, but I’m starting to feel like that path is wavering and I’d really like to start steps that will help prevent that. Yes.Have fine lines I need moisturizer for. I don’t like it but it’s not something I constantly think about. I am…but i know there may be steps to minimize the speeding process!